Formulated to help with signs of dehydration, this treatment also helps to prevent lines and wrinkles from forming. An ideal eye treatment for under-makeup application. Hydrates and revitalizes the eye area. 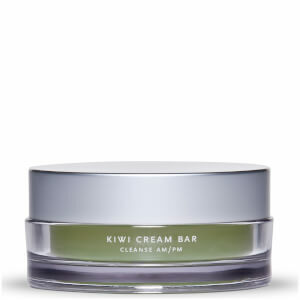 Repairs skin and increases elasticity levels. Heals and soothes skin with Blueberry extract and Vitamin E.
Use daily: Dab under brow, moisten fingertip and blend around eye area. I am addicted to this brand, all the products are amazing! I was fortunate enough to have an Arcona facial and if i was to recommend my absolute "can't live without" product it would be the eye cream. It goes on irridescent creating a natural reflection to make the eye area appear brighter and smoother. Its like magic! This is a wonderful silky smooth product. I love it because it is intended for daytime use, under makeup. It does not require a lot of product for an optimal effect. The product leaves the skin around my eyes feeling wonderful and looking hydrated. After years of searching for just one eye cream that would actually moisturize and smooth the area around my eyes...and this is it! Just a tab and I wake up with smoother, plumper skin--perfect for how dry and wrinkled I get in that area. I'm on my fourth bottle and always have a back-up now for when I suddenly run out. A true MUST-HAVE! This is the best product I have found to go under my eye concealer. I am in my mid 40s and found most under eye products caused my concealer to look cakey and dry. I love this eye dew. It's a creamy gel consistency and applies easily. It's gentle and non-irritating. I love that I can wear my eye concealer over it with out any problems - the eye dew actually helps my eye concealer stay longer and look smoother. It's also among the least expensive eye cream I've bought. It's really good for my dry under eye area. I have been using Arcona products for approximately 3 - 4 months now, and while I generally like all of the products that I've tried thus far - some more or less than others - this eye cream was the biggest waste of money ever. I am accustomed to having eye creams last for about 2 - 3 months. This one was gone in about a month, and I used it sparingly. My eye area looks more dry and has more of that crepey look than before, and the bottle disappeared in less than a month. Don't waste your time or money with this one. I have tried several eye products so far. I am 26 years old and I have noticed very fine lines below my eyes when I was 24. I have tried a few brands so far, organic and non organic, but NONE of them works as well as ARCONA. Most of them tend to reduce the lines once your skin is moisturized but if you don't use the cream for 2 days the lines are back. However with this product I actually see improvements after a few weeks of using. Even if I don't use it for a few days, my lines are still reduced. I absolutely love this product. I have found what I was looking for. I'd been looking for a legit eye cream, and this is it! I'm in my mid 30s, and people usually think I'm about ten years younger (I attribute that to being perennially immature :)) but my upper eye area wasn't as firm as I would like. 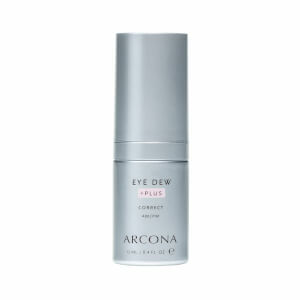 After trying a few naturally derived products, I settled on Arcona Eye Dew. Its a rich lotion, so I smooth on just a few drops before bed, and am happy with the results using it just once a day. I agree with the other reviewers that it is too heavy for wearing under make-up, although you could probably do so if you have particularly dry skin. My only complaint is that it is a bit spendy, but that doesn't stop me from buying it! This is absolutely my favorite eye cream. I am in my mid 30's and really started to notice the fine lines around my eyes. I really needed something that really hydrates better then the eye cream I WAS using (Caudalie). 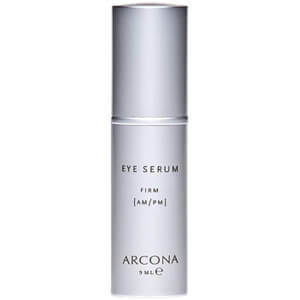 I bought this Arcona eye cream based on various good reviews on the internet. From the first day i used this my eyes have felt and look hydrated better than any eye cream I've used. (You don't need to use a lot, just a small drop on you ring finger (and pat both of your ring fingers together and apply under your eyes, by patting it in).For the price and quality...you can't beat this anywhere else!! !If you have dark circles don't know if this will work (since dark circles is a beast on it's own, I luckily i don't have dark circles). Very rich and does plump up that crepey area around the eyes where powder seemed to collect without it and it makes the skin positively radiant. It's viscous, not greasy. It stays put so does not melt under make-up. Wetting your finger does help you to rub in remaining product.This goes well with my Opal. I will reorder it again.